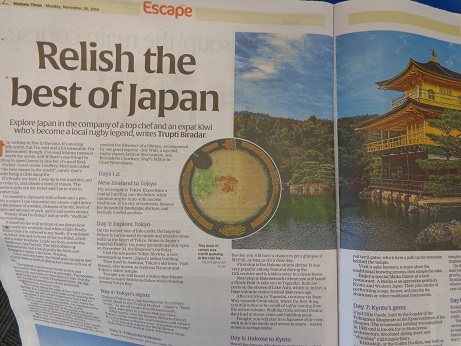 Today’s Waikato Times gives an article of an upcoming tour to Japan a few NZ celebrities are involved with. Probably quite a few people are now thinking of going to Japan next year; why? – it is because of RWC2019!